Banyan Technologies Group announced that it has completed an acquisition of TEGA Technologies Inc.. Founded in 2005, TEGA’s Chatterspot software has rapidly evolved as an industry-leading state-of-the-art automated advertising and lead gen software in the wireless retailer market. Chatterspot leverages its proprietary database of 150 million US consumers to create sales & service leads via a comprehensive advertising strategy to current and potential customers and delivers the leads directly as a text on the customers’ mobile device driving 2-way text communications with the end consumer. “As we entered the Automotive Aftermarket with the Chatterspot software in 2017, our market-leading technology found instant traction in the Franchised Auto Dealership channel, where dealers tend to be early adopters of disruptive technologies,” said Bill Hamlin, Founder and CEO of TEGA Technologies. 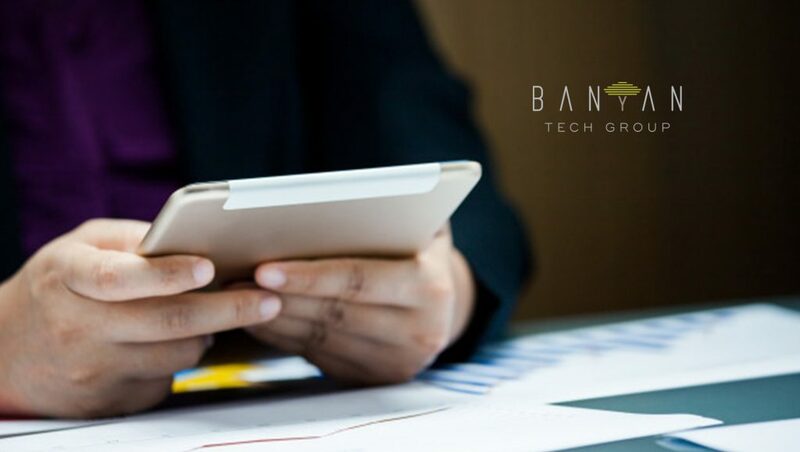 “We were looking for the right partner to help us accelerate our growth and found an excellent fit with Banyan Technologies Group,” Bill added. “We are very excited to add the Chatterspot solution to our portfolio,” said Banyan Chairman and CEO Tanvir Arfi. “We will leverage our end-market experience, relationships, and bring the required capital to accelerate Chatterspot growth, delivering this technology at a global scale to OEMs & Franchised Dealerships; and the automotive aftermarket,” he added. Chatterspot will be operated as a product of Helm Technologies, LLC, a Banyan operating company and sister company to Helm LLC. Effective immediately Bill Hamlin has taken over as the CEO of Helm Technologies, LLC and has been appointed to its Board. “Helm has more than 75 years of history bringing accretive value to our customers,” said Lorne Dubrowsky, President of Helm. “The Helm leadership team is committed to delivering more digital and technology-driven services while expanding our breadth of products and services to support our client’s global strategic initiatives. This acquisition is another solid step in that strategic direction,” said Dubrowsky. Chatterspot’s automated digital advertising services and database of 150 million US consumers will now be complemented with on-demand features like call center support, direct mail marketing, and an all-inclusive account concierge service from Helm, to bring a truly end-to-end advertising and lead generation solution to the market. AcquisitionAuto Dealership channelBanyan Technologies GroupChatterspot softwareMarketing TechnologyNewsTEGA Technologies Inc.